In the 1940s, Allen House (Behind Baldwin Cottage) housed the headquarters of the YWCA. 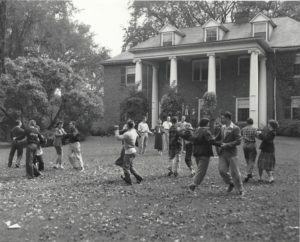 Photo: Pictorial Memories of Oberlin, 1976. 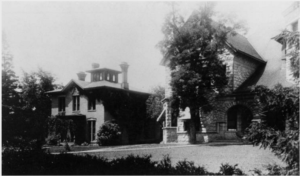 Oberlin College Archives. relationship to the material it presents.” In many cases the YW member who compiled the scrapbook annotated newspaper clippings; in so doing, they were responding to what they perceived as misidentifications in The Oberlin Review, or privately answering the comments of administrators quoted in an article . 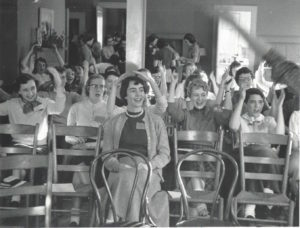 In this way, “Women activists understood the press not as a simple record but as a set of voices and conversations to be read critically and culled by the scrapbook maker who ensured that the correct view, as she saw it, survived.” Beyond their scrapbooks, Oberlin YWCA produced extensive annual reports targeted at both the College and national YWCA to demonstrate their dedication to collective memory. 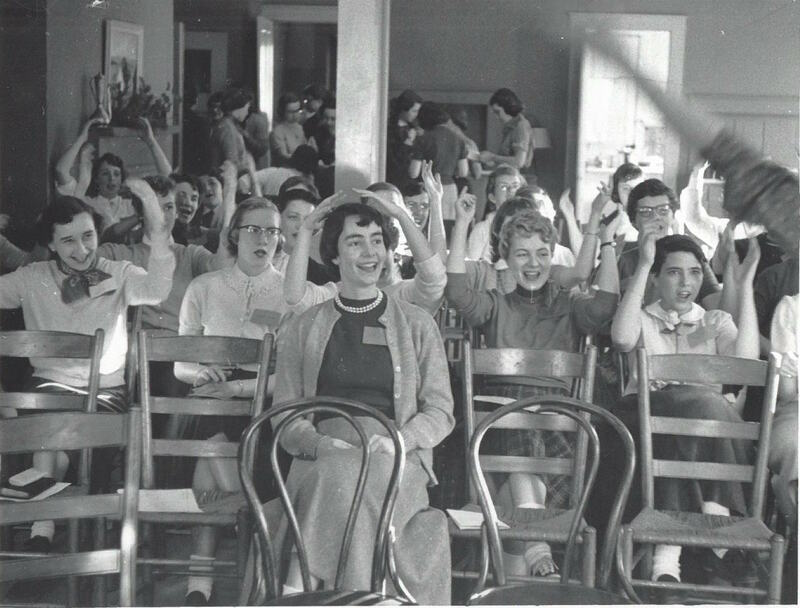 The World War II years presented an opportunity for YW members to engage in new areas of service: in addition to their annual programming of student-faculty discussion series and career symposia, YW addressed interracial relations nationally and on campus through the rhetoric of democracy. This mini-edition details the consistencies and changes of YW activity during World War II, at a time when both the nation and Oberlin College were on the precipice of social change. YWCA Annual Reports, 1945/46-1950/51, Series II, RG 29, Box 6, O. C. A.
 Ellen Gruber Garvey, Writing With Scissors: American Scrapbooks from the Civil War to the Harlem Renaissance (Oxford: Oxford University Press, 2012), 208. Ellen Gruber Garvey, Writing With Scissors, 173.